Elevate your outfit with these bold drop earrings! 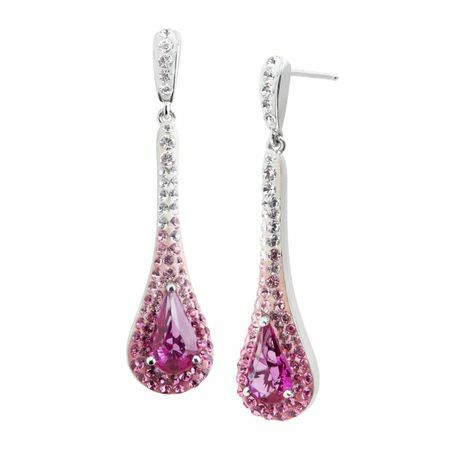 A pear-cut pink Swarovski crystal is surrounded by ombré round-cut pink and white crystals in an elegant setting of sterling silver. Pieces measure 1 11/16 by 3/8 inches.